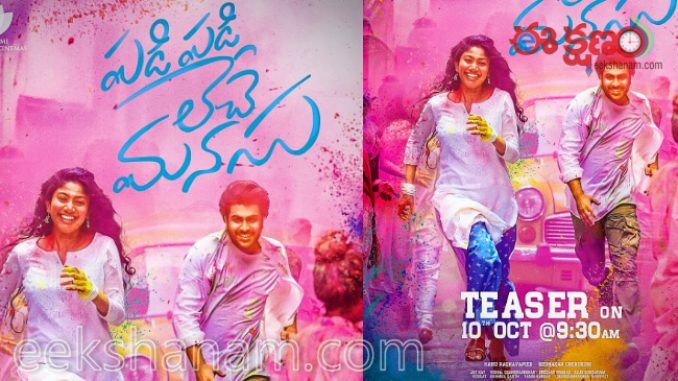 The teaser of ‘Padi Padi Leche Manasu’ is going to be unveiled on October 10th, announced the producers. Starring Sharwanand and Sai Pallavi in the lead roles, this film is being directed by Hanu Raghavapudi. Shot extensively in Kolkata, Nepal, currently the shooting is progressing in Hyderabad and is in final stages. 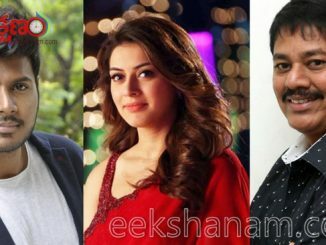 This film also has Murali Sharma, Sunil and Vennela Kishore in supporting roles.Touted to be a soulful romantic entertainer, Vishal Chandrasekhar is composing music for the film. ‘Padi Padi Leche Manasu’ is releasing on December 21st. Cast: Sharwanand, Sai Pallavi, Murali Sharma, Sunil, Vennela Kishore, Priyadarshi and Priya Raman. 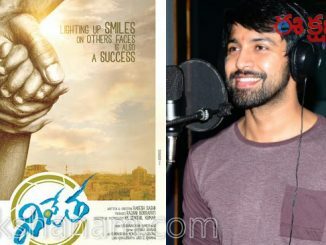 Vijetha as title of Kalyaan Dhev’s debut film!